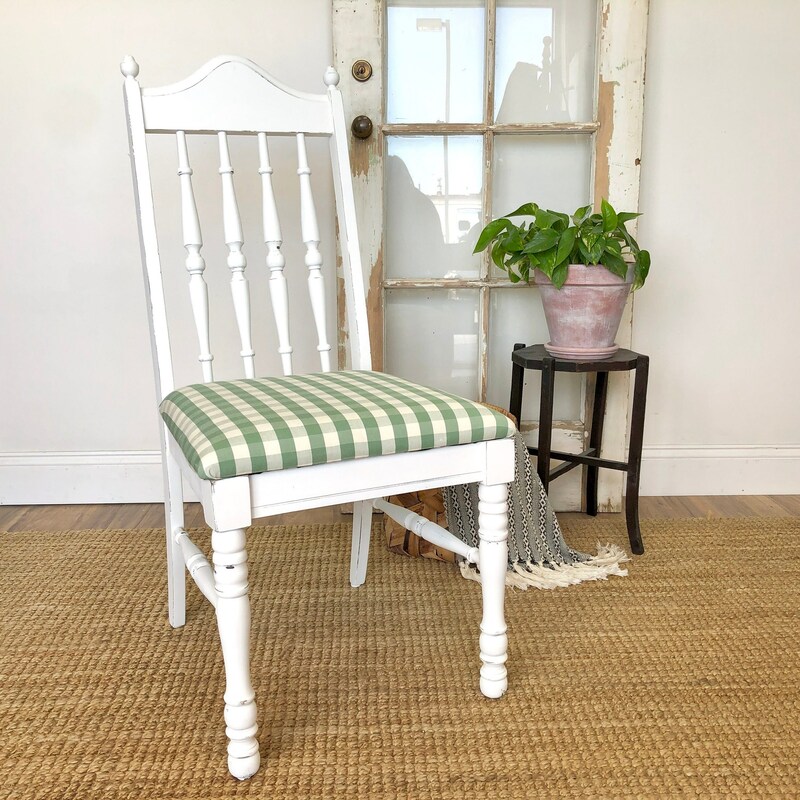 Add a pop of color to any space around your farmhouse or beach cottage interior. 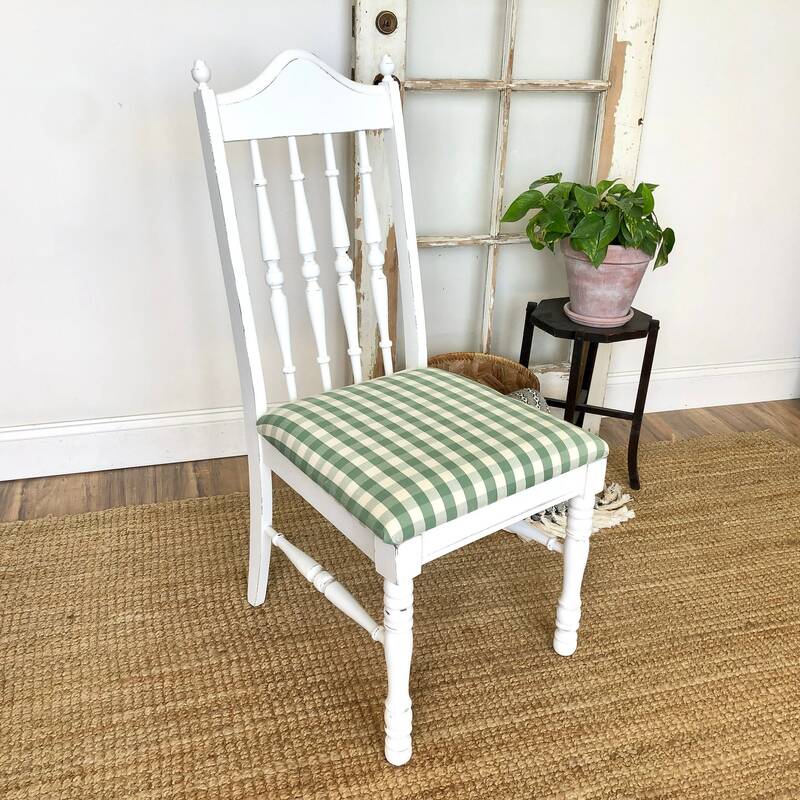 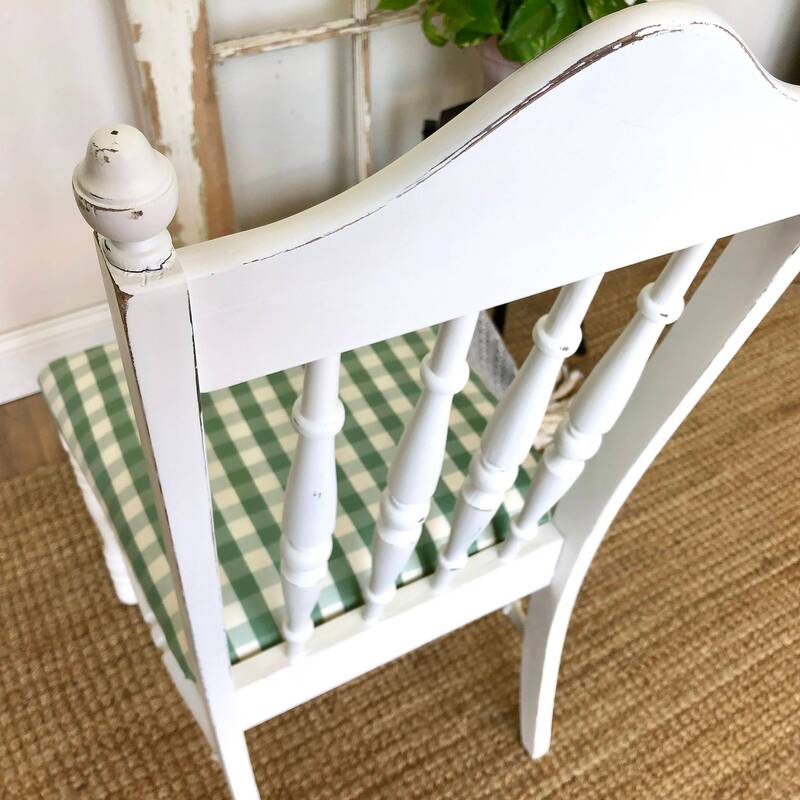 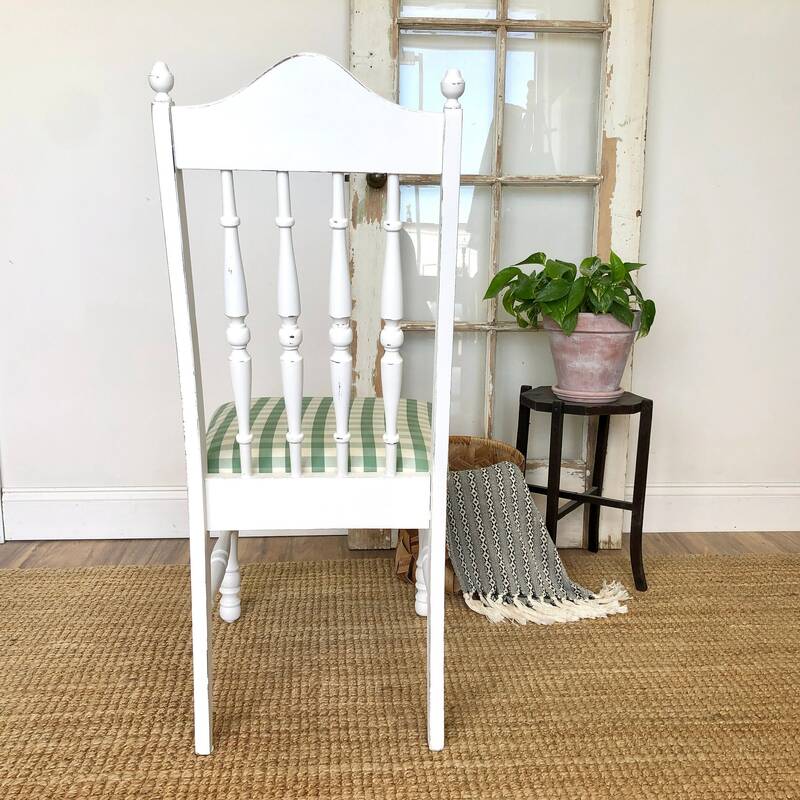 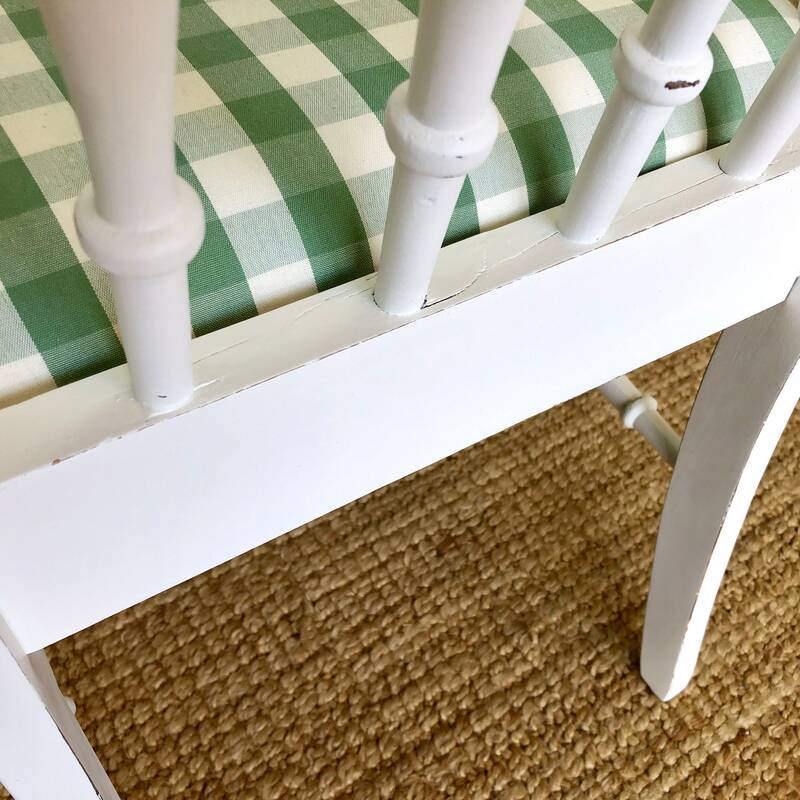 This white farmhouse chair with its green checkered upholstered seat will bring brightness to any corner or space that needs accent furniture. 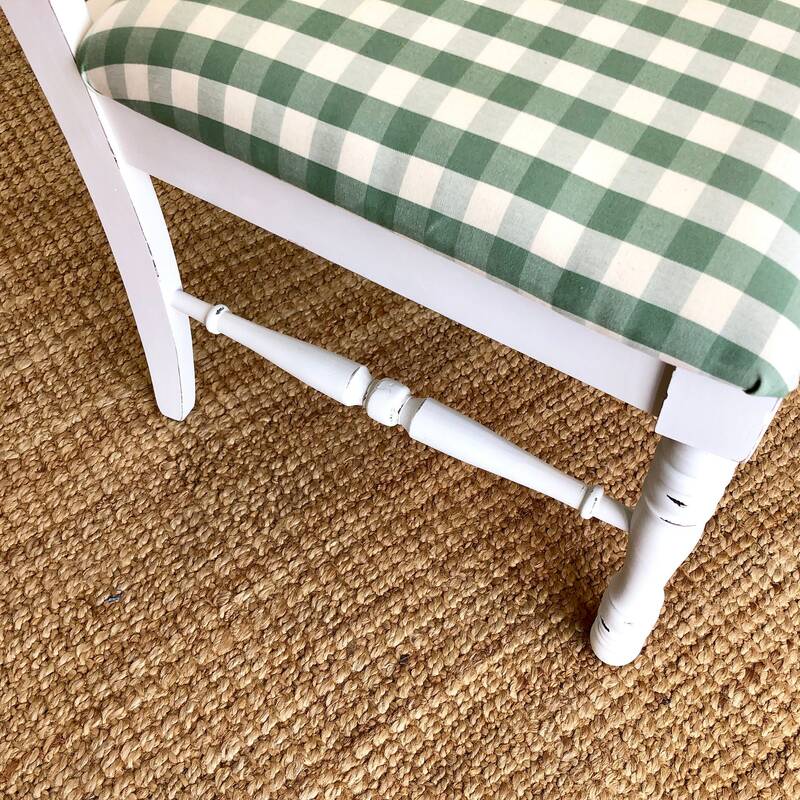 The spindle back brings a touch of antique whereas the updated seat cover brings a current feel to it. 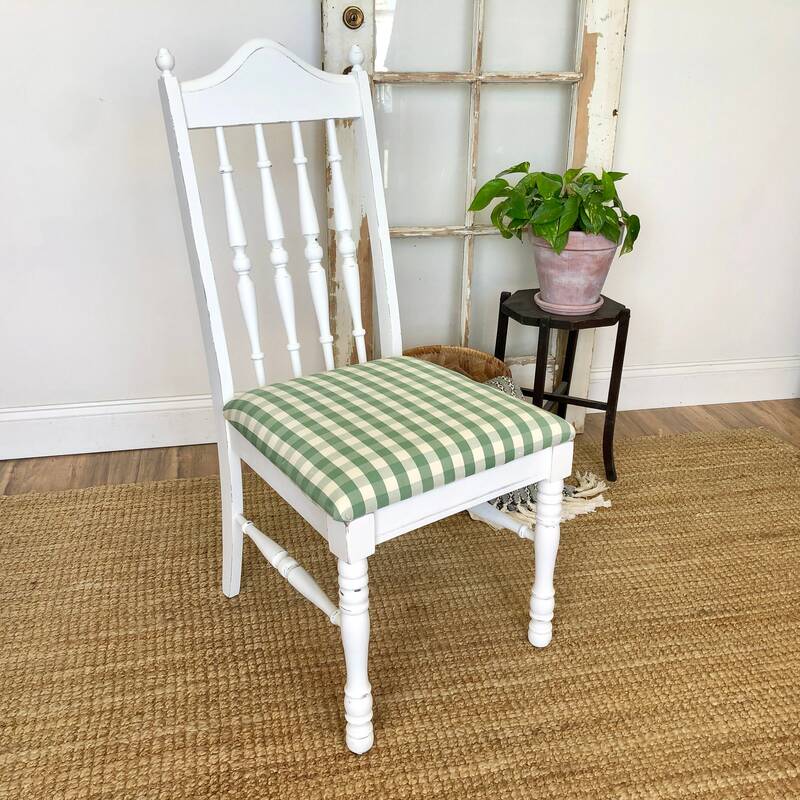 This gorgeous chair has been painted in a farmhouse white color that fits into any interior with ease. 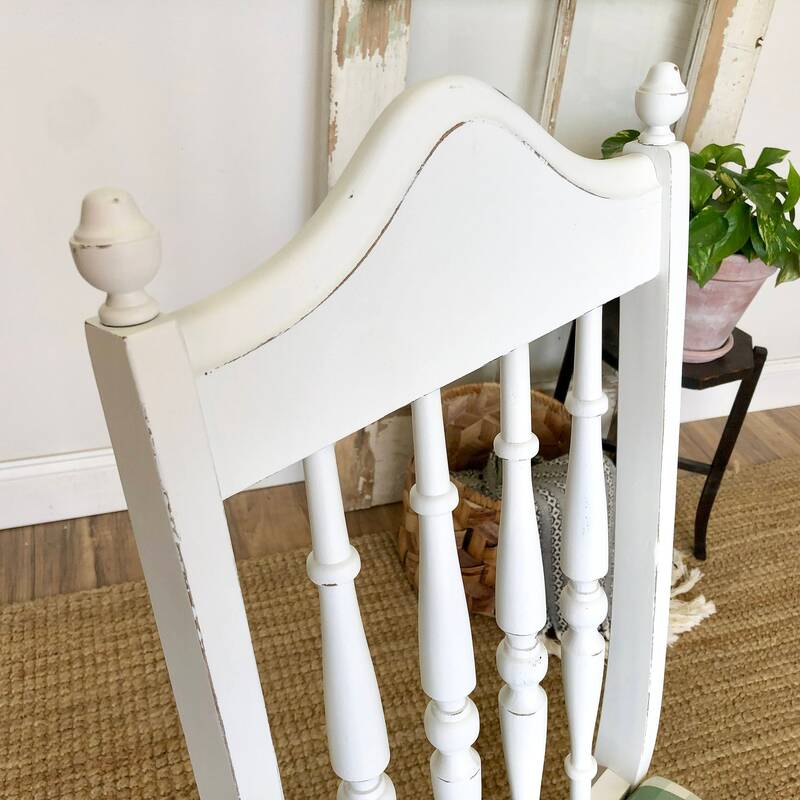 Distressed to add interest and let some of the wood colors shine through. 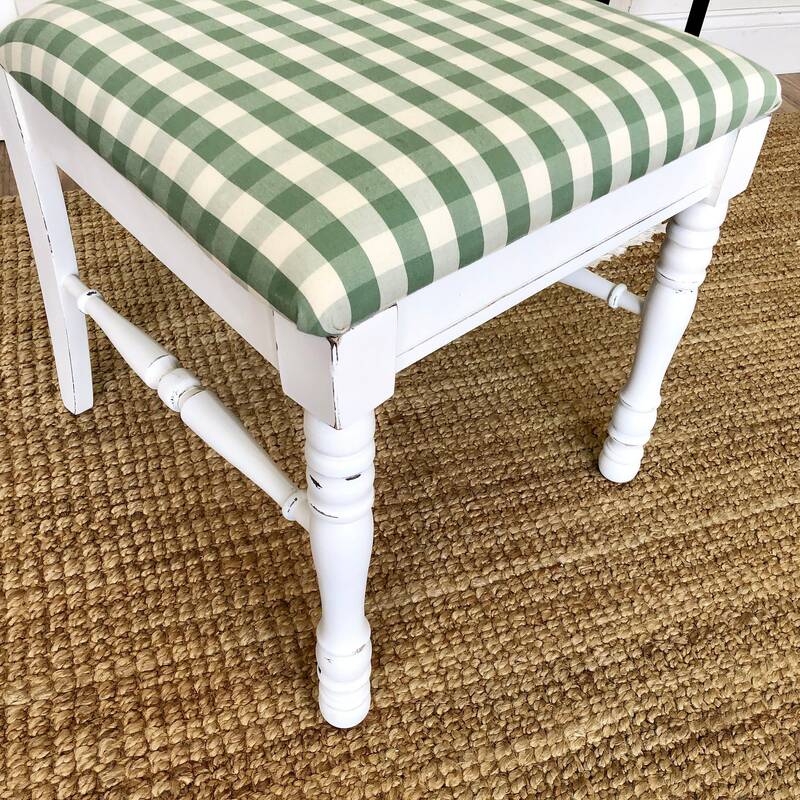 The seat has been newly recovered with a bright green and white checkered fabric.